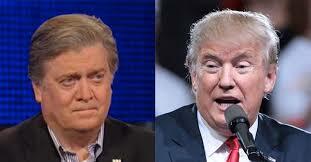 President Trump and Mr. Steve Bannon – This Post is pinned to the top of “News & Updates” because the strategies at the “NEW Open Letter 2017” menu tab are necessary, unless somebody has a better idea. The only way to break the Deep State’s hold on Congress and also on the Republican AND Democratic parties is to make the call for Trump supporters to enter the precinct system in both major parties in all 3141 counties. President Trump, if you do not ensure an honest count for US Congressional races and US Senate Races, there is danger those 3 mega-companies ( see ElectionNightGatekeepers.com ) controlling the election computers will try to put in a Democratic Congress by computer votefraud in November 2018, and you will be impeached in 2019. If computer fraud is used to “make” the Senate go Democratic, they will convict you and throw you from office in 2019. Social Media has already overtaken the Old Guard Mainstream Media. Their only power is that their sister corporations control the computer votecount in 96% of the counties. Once Hand Counted Paper Ballots are restored to each local county, and all computers and machines are thrown out of the counting process, the MSM will have no power, and they will not dare to put out their phony polls anymore. We don’t want money. We don’t want recognition. We just want to help you Make America Great Again – but that cannot happen if you do not break the deep state’s hold on Congress by the precinct strategy, which must be accompanied by restoring honest election counts, as specified in the Sheila Parks article “Hand Counted Paper Ballots”, linked in the “New Open Letter 2017” and under the “More” menu tab on this website. Once you (President Trump) make the call for Trump supporters to enter both major parties at the precinct level, “all hell will break loose”, and the Big News Media will go wild, because the precinct system is the source of the power of the deep. But the grassroots people will finally understand what they can do to take back their country. Then resurrect the “well regulated militia” as written in the 2nd Amendment (see the works and books of Dr. Edwin Vieira (renowned constitutional attorney and scholar) such as his 8 part series, “The Militia of the Several States”, found here: https://www.newswithviews.com/Vieira/edwin16.htm ). The Deep State is out to devour you, your family, and your administration. Half measures will not do.